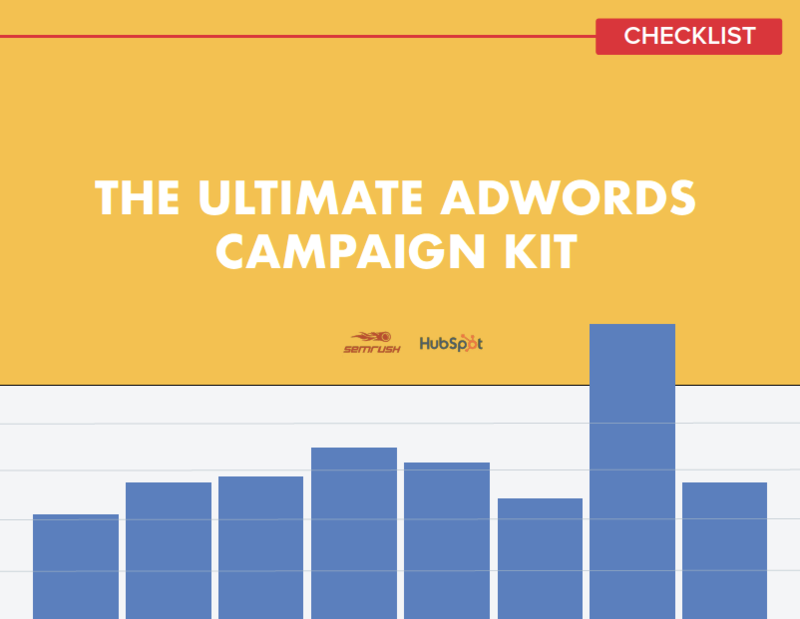 Organize Google AdWords, record data, and manage campaigns with the help of this kit. 96% of Google's revenue comes from PPC advertising. Clearly, marketers are taking advantage of Adwords, but what does a great PPC campaign even look like? 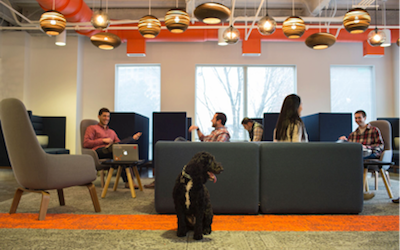 How do you ensure it drives ROI for your company? What about best practices for managing the associated costs? How do you even set up a Google AdWords campaign? 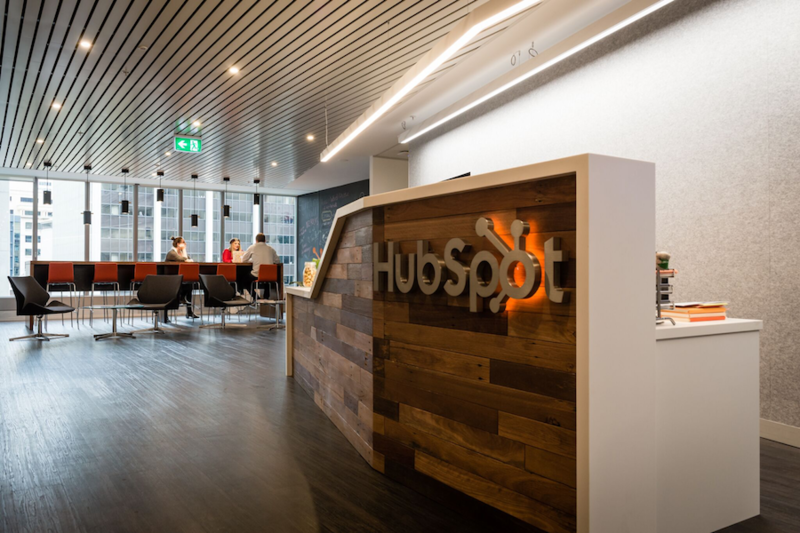 HubSpot and SEMrush joined forces to bring you a free Google Adwords kit with everything you need to succeed with Pay-per-click and search engine marketing. Packed with an ebook, template, and checklist, the kit has everything you need to manage keywords, campaigns and ad groups with ease. What is Google Adwords and why should I use it? Google Adwords consists of paid advertising on search engines. The results appear above and below unpaid or organic search results. Google Adwords allows you to get in front of your audience when they search for information online. Businesses use Adwords as a means of driving traffic to their website. Google Adwords is very measurable and you can set up tracking and reporting within the platform. While search engine optimization can take some time before you see the benefits, you can instantly get traffic with Google Adwords. Who is the Google AdWords template for? The template is ideal for all businesses of all industries and sizes. So whether you are running Google Adwords for Nonprofits or looking to start Google Adwords for your small businesses, this kit is right for you. What is the Google AdWords Introductory Offer? Google offers a coupon code that provides you with credit to run your first Adwords campaign. You may have to spend a set amount before the credit is applied. Each coupon can normally only be used on new Adwords accounts. Once you have the budget to kickstart your PPC efforts you can use our template and checklist to get plan your first campaign. For full details and terms of this offer, see the Google Adwords website. What is the cost of Google Adwords? There no set minimum amount that you must invest into Google AdWords. You decide how much you want to spend each day. The pay-per-click cost varies depending on a number of variables including the industry and the geographical location you want to target.The full list of Google Adwords rates can be seen on their website.